Look no further. 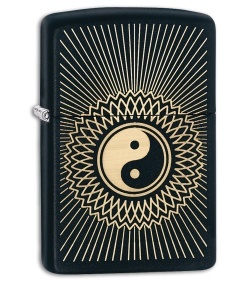 The Yin to your Yang is nestled within the flame of this lighter, which will drive out the darkness with its light. The body of this lighter is a matte black.